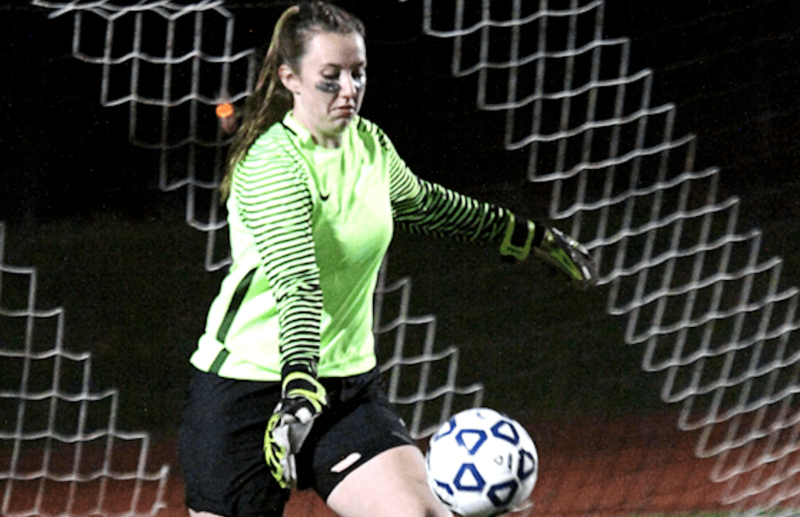 Syklar Kuzmich is in her fourth year as W-H’s starting goalkeeper. Faced with an obstacle at a young age that could have halted her soccer career, Skylar Kuzmich found her niche elsewhere on the pitch. After jumping into the sport a few years prior, Kuzmich hit a bump in the road when she was 11. Running up and down the field was proving too much as her asthma was getting the best of her, leaving the then-middle schooler with two options. “I could either quit the sport or become a goalkeeper,” Kuzmich explained. She chose the latter. Then, she spent the next years in town and club play mastering the position before arriving in high school where she’d blossom into one of the state’s best goalkeepers. Kuzmich, now a senior, has started for Whitman-Hanson Regional High’s girls’ soccer team since she was a freshman. The Panthers own a 58-5-3 record and haven’t fallen short of the South Sectional semifinals in her first three seasons, a span she’s posted 37 shutouts in. “I always know that even if I mess up on defense, Sky is there and I trust Sky because she is an amazing goalie,” classmate and fellow captain Sammy Smith said. Last season was when Kuzmich took her game to a new level, posting shutouts in 10 of 19 games. She earned Patriot League All-Star recognition. 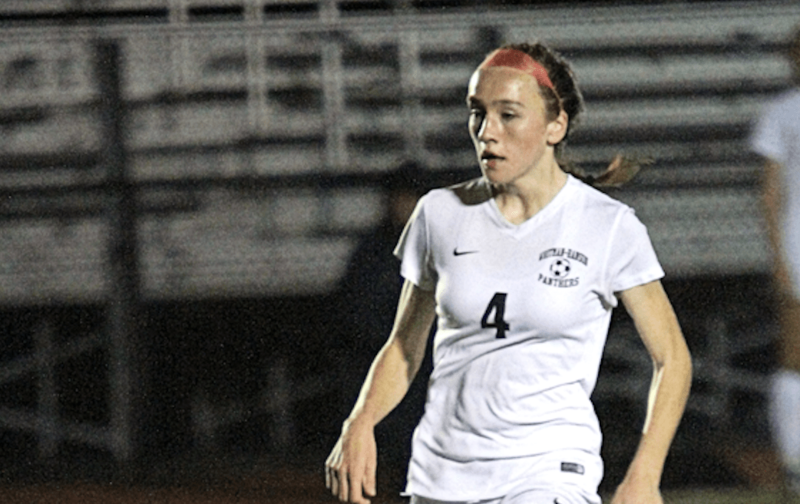 After falling to league rival Hingham, 3-1, Oct. 17, W-H found itself with a rematch against the Harborwomen on the road in the South Sectional quarterfinals Nov. 7. Kuzmich turned away numerous shots in the first half to keep the score deadlocked at 1-1, before the Panthers pulled ahead 2-1 in the second and that’s where it would stand. Kuzmich stopped 16 shots in the game. Jealousy isn’t all that flows through Smith’s mind watching Kuzmich, a Hofstra University commit, protect the Panthers’ goal. “I’m confident with her behind me in net at all times,” Smith said. Kuzmich said that while she deals with the same struggles most all goalkeepers do, her attitude allows her to stay sane in net. Floeck said that while he’s had to circle in numerous players on the backline over the past few seasons and plans to do the same this fall, he can count on Kuzmich to put them in the right positions to succeed.